I rely on public assistance. I depend on Medicaid for health insurance and the Supplemental Nutrition Assistance Program (SNAP, commonly known as food stamps) to buy enough food for my family. As a low-income Solo Mom, these programs have truly saved me. 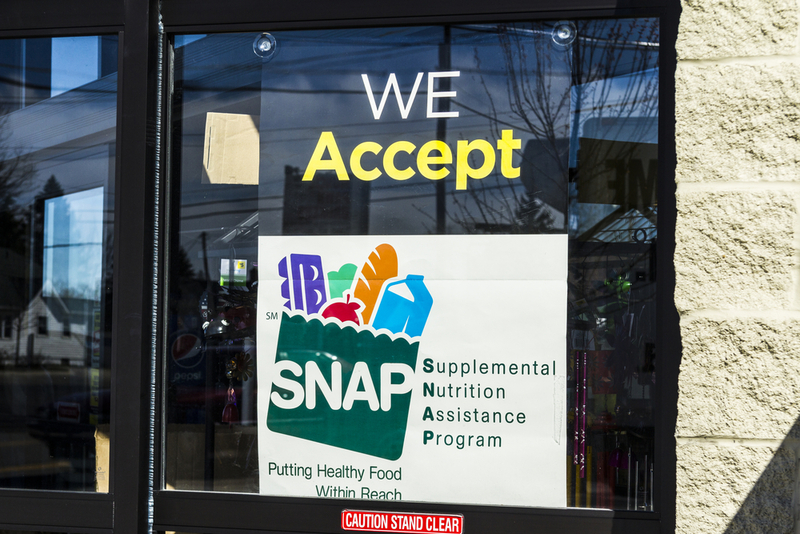 Medicaid has kept my kids up to date on their immunizations, and SNAP has kept food in their bellies. And I’m not alone—far from it, in fact. Forty percent of Solo Mom households live beneath the poverty line. By the end of my divorce, I was not only emotionally wrecked but also financially ruined. Alas, when your failing marriage also involves a tanking family business (and it costs more than your college education in legal fees to keep your children safe postseparation), you slide under the water, financially speaking. It’s been a long journey to get back on my feet, and although I’m making progress, I’m not there yet. Here are lessons I’ve learned on reframing the mental burden in the years I’ve relied on public assistance. I remind myself that public assistance is not equated with failure. Sometimes I can get pretty down on myself for needing public assistance, and it’s a constant battle to mentally and emotionally reframe the situation for myself. Yes, I dislike pulling out my SNAP card at the grocery store. I hate the looks from the cashiers. I don’t like feeling like everything in my shopping cart is being judged, nor do I like the invasive questions during my every-six-month interviews. But assistance programs are here to help us through the rough patches, and there’s no shame in asking for help. And, ultimately, receiving assistance will help my children be healthier and happier. I remind myself that it’s not forever. When times are tough, it’s hard to remember that today will become tomorrow, and that tomorrow will unspool into a hundred other days, and that with each small step forward, we do eventually get someplace. One day you will wake up, and months or years will have gone by, and the view out the window will have changed. You may wake up to find that you haven’t been able to save as much money as you hoped or take as many vacations as your friends, and there may be some very low points. But time does move along, and that fact will be your constant companion. I remind myself that the grass is always greener, and everyone is struggling with something. One of the things I’m least proud of is the economic jealousy I harbor. I’m jealous of the married moms with partners who aren’t deadbeats and who share school pickup duties. The moms who get to go out with their girlfriends. The moms who can tap out of responsibilities when they’re overwhelmed. The moms with their nice cars that don’t rattle when they pull up to school. I’m jealous of the moms who don’t have to worry about affording groceries or contributing to the teacher gifts at the end of the year. It’s not very becoming of me, I get that. And I agree. Jealousy isn’t much fun to listen to, and it’s not much fun to feel. And the reality is, the moms in the nice cars are probably stressed as heck, too. They’re stressed about mortgages or shaky marriages or addiction or a chronic health issue—the list is never-ending because we’re human beings living messy, hard lives. Framed like this, the jealousy dissipates, and the single emotion I’m left with is compassion: compassion for others and compassion for myself. We are each doing our best. I spend time visualizing my future. Experts say that people who spend time visualizing their futures are more likely to achieve their goals. I do this on the regular—while I’m falling asleep at night, while I’m driving in the car. Sometimes after the kids have gone to bed, I listen to music and doodle on a piece of paper and let my mind focus on the life I’d like to have someday. Call it some kind of meditation. Call it focused daydreaming. Call it fantasizing. It calms me down, eases my frustrations about where I am in my life now. After years of barely scraping by, I admit to regularly dreaming about a sparkly future in which I am not stressed about money. I imagine what it would be like to plan beach vacations and hire babysitters and afford summer camps for my children. I imagine being rested. I imagine time to read books and a dream job that pays me what I’m worth. I imagine being able to cut my SNAP card in half. But in the meantime, I receive the help I need to make do.